Is it too late to save American salamanders? The United States Fish and Wildlife Service has banned the import of 201 species due to a serious threat. 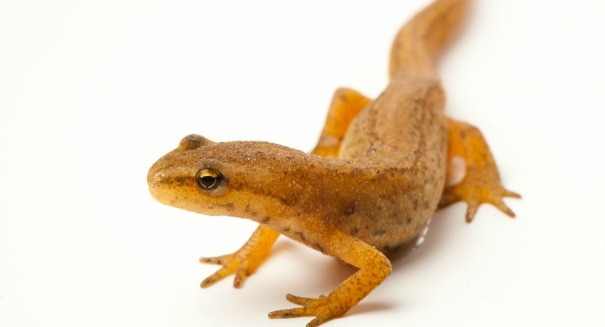 Scientists working with the U.S. government have called for a complete halt to the importation of a number of salamander species in an effort to protect native populations from a fast-spreading fungus that threatens ecosystems worldwide. According to a report from the New York Times, the U.S. Fish and Wildlife Service has banned the import and interstate transfer of 201 different salamander species under threat from Batrachochytrium salamandrivorans. The fungus has devastated amphibian populations around the globe, and scientists are growing increasingly worried about it showing up in the U.S. The fungus, known as Bsal, was discovered in 2013. At the time, it was causing significant damage to European salamander populations, and scientists warned a similar outcome could fall upon the U.S. The decision to ban the import and transfer of salamanders to reduce the risk of transferring the fungus came earlier this year. Now, the FWS is hoping to make this ban permanent. Currently, the service is reviewing comments submitted by the public, and plans to make their final decision on the ban before the end of the year. So what can scientists do to save American salamander populations? The USGS team hopes to identify and vet diagnostic tools to help trace the presence of the fungus, assess the risks facing different amphibian species, and develop short-and-long-term plans to deal with a breakout.